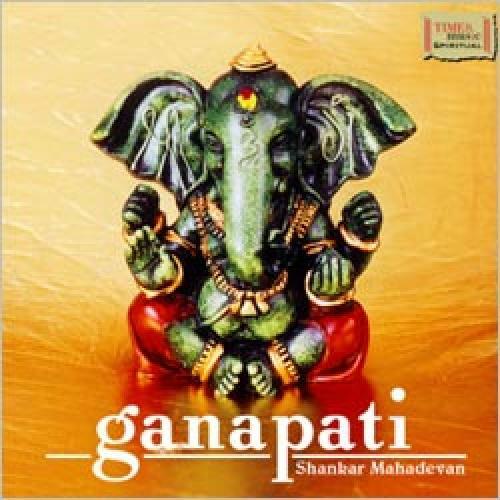 Times Music presents the album 'GANAPATI' - A musical tribute to the most beloved of all Gods in the Hindu Mythology. This album is a musical sojourn of Lord Ganesha from Dawn to Dusk, comprising of various prayers offered to him during different times in a day. It is a remarkable combination of some fresh compositions like Morning and Evening Gayatri Mantra, Rhinmochan Mahaganapati Stotram, Vishnukrit Ganesh Stotram, Shri Ganeshashtakam, Shankaradikrit Gajanan Stotram, etc, and some all time popular Ganesh Aarti's like Shendur Lal Chadhayo, Sukhakarta Dukhaharta & Ghalin Lotangana. Musically adorned by Kedar Pandit and sung splendidly by Shankar Mahadevan & Shweta Pandit, this album is a musical treat for all devotees of Lord Ganesha. A must have for all those who seek the benedictions of the Lord of successful beginnings and the destroyer of all obstacles. Ganesh Dhun - Shankar Mahadevan And Chorus?